The moment of "Va Por Ti" that we had been waiting for the last couple of weeks just happened. After the demise of El Dasa from the competition, Jencarlos Canela and Dulce María advanced to the second phase. All of this time we knew that one of the captains would have to be eliminated to advance to the final phase. The show started off with Galilea Montijo presenting a clip of the previous week's happenings and messages from the singing hopefuls dedicated to their respective captains. Emmanuel was the guest judge of the night and joined Alejandra Guzmán and Larry Hernández on the panel. This week it would be extra important as the judges would decide who the winning captain would be. Galilea announced that Poyato and Geissie survived the Digital Revenge. This battle allowed the eliminated singers to have a second shot at returning to the competition. The sudden death duels followed and it was announced that the first team to get to six winning duels, would win the "Va Por Ti" cup. Last week, Jencarlos' team won four duels while Dulce María had three. The duels would continue with Fernando against Ana Cristina, with the latter winning. The next duel was between Danny and Virginia with the latter chosen and giving Jencarlos another win. Next up was José and Yazaira with the latter from Dulce's team winning. The last duel was between Stephanie and Paloma, with the latter from Jen's team winning. With six wins, Jencarlos Canela's team would advance to the final phase of "Va Por Ti" to win the singing contract. William Levy made a special appearance on the show, honoring Jencarlos with the cup. Dulce had to say goodbye from the competition. A new task had the girls competing for a date with Levy. They would have to sing telenovela theme songs. In the end he chose both Geissie and Paloma to take on a dinner date. On the verge of leaving the competition was Danny, Yaza, Stephanie and Ana Cristina from Dulce's team. Only two of them would be saved by the public vote. Next week Galilea and Jen will team up to sing together against the "Sal y Pimienta" hosts Lourdes Stephen and Rodner Figueroa. 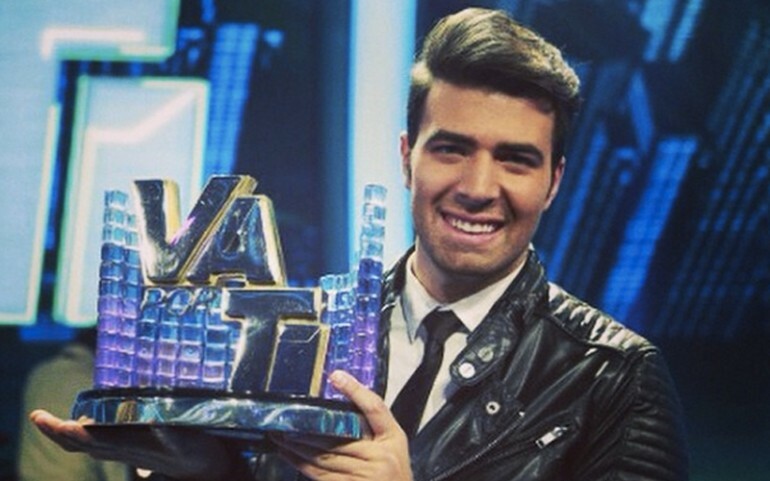 Are you happy with Jencarlos Canela as the winning captain?